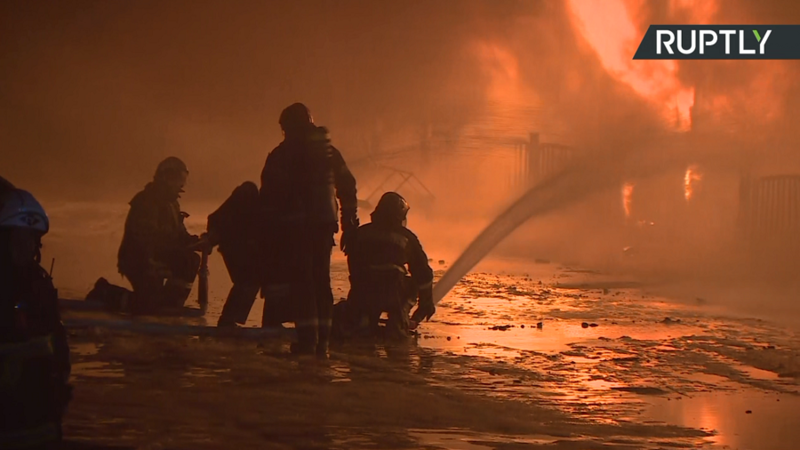 At least twelve people have died in a shopping center in the Siberian city of Kemerovo, where a huge fire broke out Sunday. Emergency services are still trying to extinguish the blaze. The fire broke out on Sunday afternoon. According to preliminary reports, it started in a trampoline room at the mall’s playground for children. 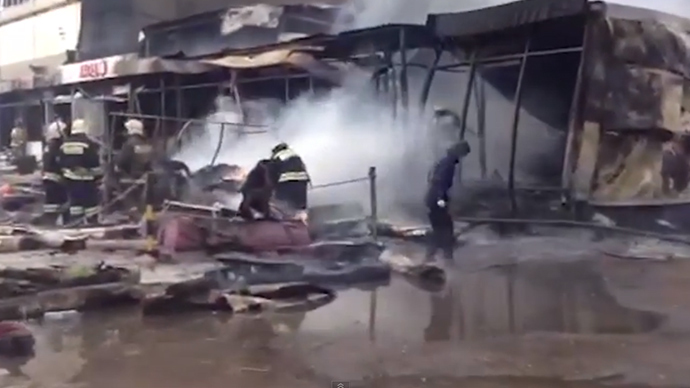 Firefighters managed to get some 120 people out, the regional emergencies ministry said. 30 people were taken to local hospitals. Early reports suggest that several children have died in the blaze. The Russian Investigative Committee confirmed on its Telegram channel that three women, one man and a child have died in the incident. 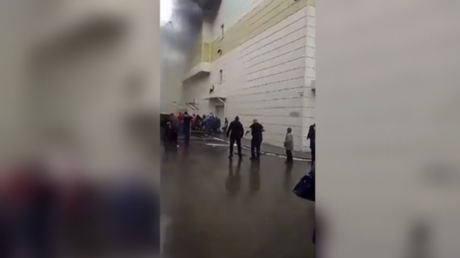 Firefighters found two more bodies in the burnt-out mall, raising the death toll to seven, according to an emergency services official, cited by TASS. 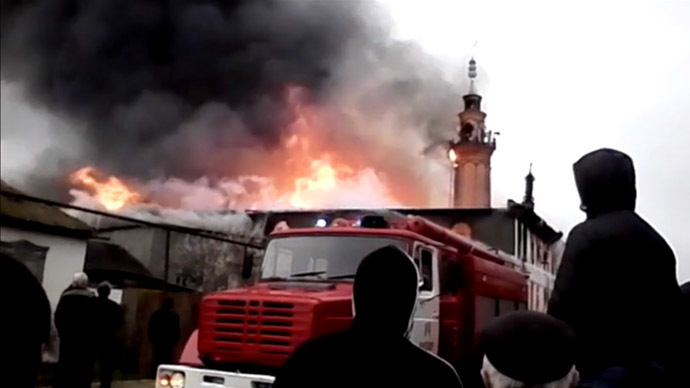 At least 69 people, including 40 children, are still missing after the fire in the shopping mall, a source with the local emergency services told TASS. As of 9pm (local time), the firefighters were still struggling to extinguish the blaze in the left wing of the building, where cinemas are located. The other parts of the mall remained filled with dense smoke and the emergency crews couldn’t enter these to search through rubble, according to the spokesman for the local emergency services. A special task force, which includes rescue workers and psychologists, is expected at Kemerovo from the city of Krasnoyarsk. 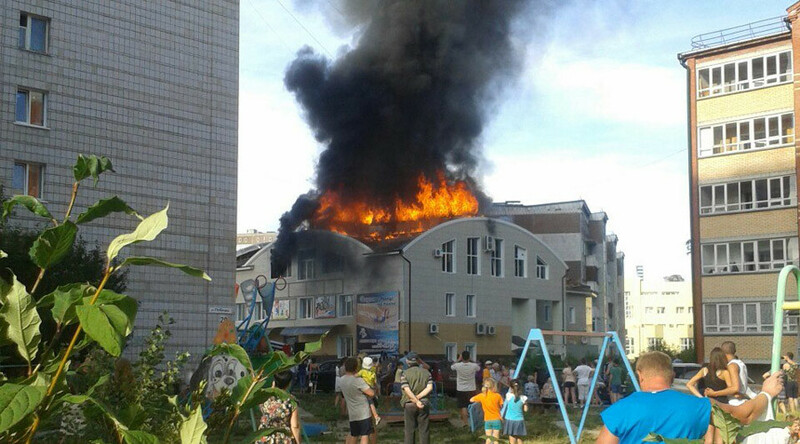 The fire was localized to some 1,600 square meters by midnight. 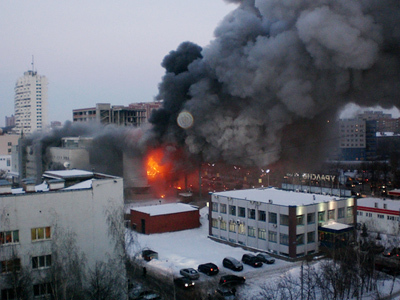 Some 1,200 meters of roofing and floors in the building have collapsed, an emergency services operative told RIA Novosti. As of 1am local time, the firefighters had checked the ground and first floors of the building, while the second floor was still being explored, the spokesman for the emergency services told reporters. The third floor of the building, where the blaze had supposedly started, was still off-limits for the rescuers, due to extremely high temperatures. In addition, some 200 animals of 25 species that lived in the mall’s petting zoo are feared to be dead. “I think they died of suffocation, because I was the last to leave and there were no other people left in the zoo,” the facility director Evgeniy Videman told TASS. “There was thick smoke on the third floor, people were leaving in panic by a side ladder. There was no chance to get the animals out,” he added. Pictures circulating on social media show plumes of smoke rising from the building. 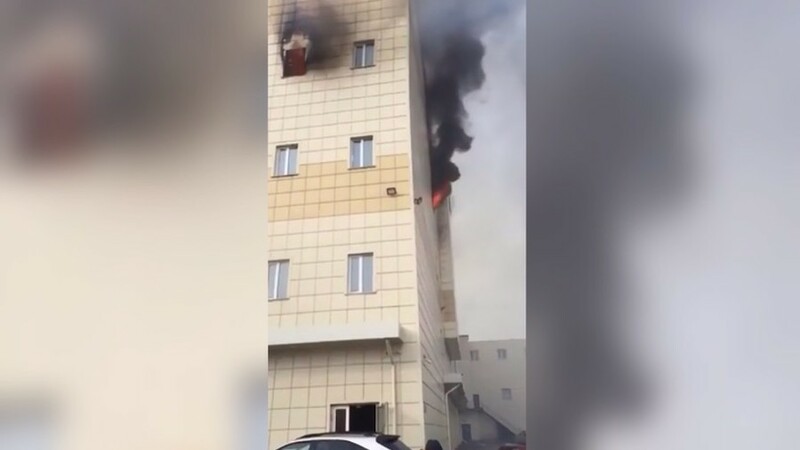 One of the videos from the site shows a desperate person jump out of a fourth floor window emitting thick black smoke. 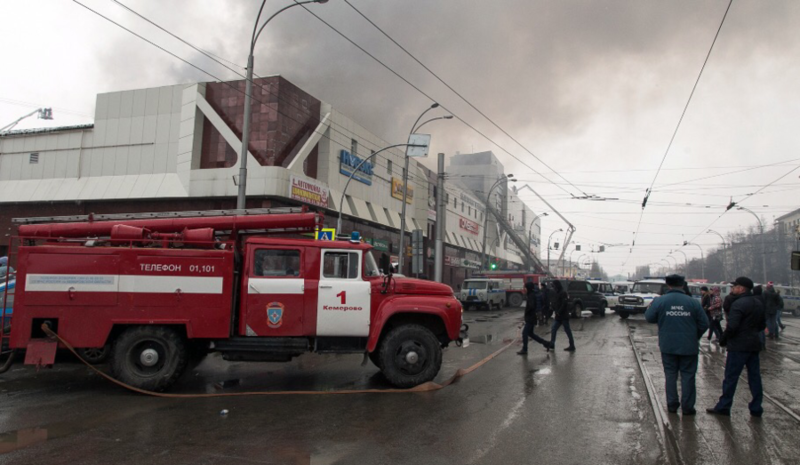 A state of emergency has been declared in the Kemerovo region, Emergencies Minister Vladimir Puchkov said. More than 280 rescuers and 62 units of equipment are deployed at the site.